When Your Heart Beats For Someone! Description: I’ve got your name written on my heart ! I love you thiiis much ! 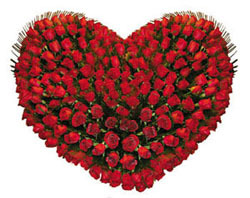 Say with 60 piecs roses in a heart shape basket.